The most common cause of diarrhea is a mild viral infection that resolves on its own within a few days, usually known as the "stomach flu". 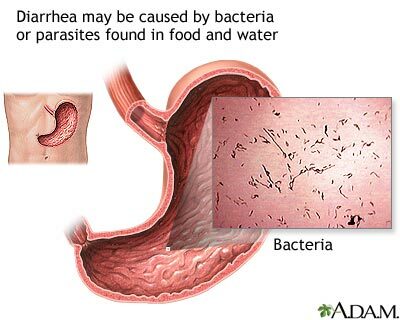 Two other common causes of diarrhea is from food poisoning and traveler's diarrhea. They occur from eating food or drinking water contaminated with organisms like bacteria and parasites. Medications can also cause diarrhea, especially antibiotics, laxatives containing magnesium, and chemotherapy for cancer treatment.